In 1976 I got acquainted with T’ai Chi. I immediately got enthusiastic and still am. For years Patrick Watson was my teacher. He was one the senior students of Prof. Cheng Man-ch'ing, master in the five excellences. I have been teaching in cooperation with the School of T’ai Chi Chuan, currently T’ai Chi Foundation, since 1977 not only in Amsterdam, but also in England, Ireland, Austria and the USA. During my Acupuncture Master training I have integrated T’ai Chi into my treatment. 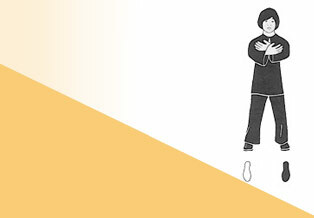 It is special to also pass on T’ai Chi movements to someone in support of a healing process. One example is when someone's movement is limited. By concentrating in the tan tien (area under the navel) in a simple manner power and space can be created and the circulation stimulated. 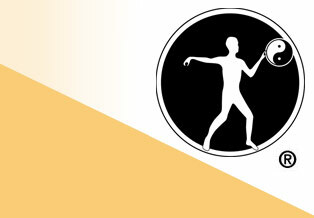 Roots & Branches combines T’ai Chi with the Five Elements theory. It is a series of exercises to raise Qi and bring this into direct and deep harmony with the energies of the Five Elements. I am a senior teacher at the School of T’ai Chi Chuan and have put together the Roots & Branches program together with Pat Gorman after years of studies. Special classes in T’ai Chi and/or Roots & Branches Qi Gong can also be requested, fitting the season or for a specific target group.